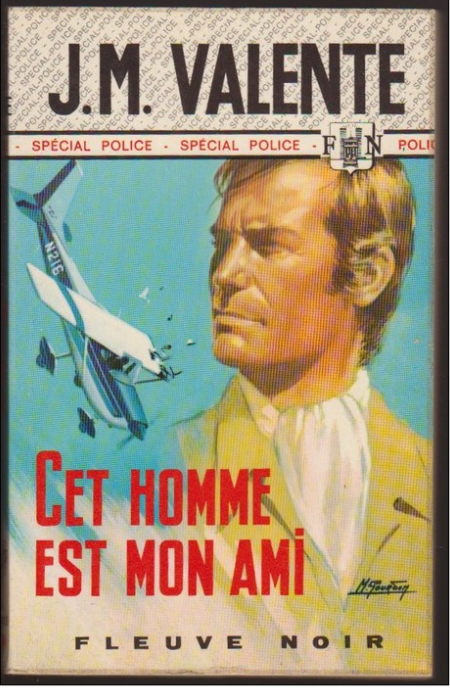 This novel by Jean Bruce is the first book published in the famous “Spécial Police” series by Fleuve Noir. 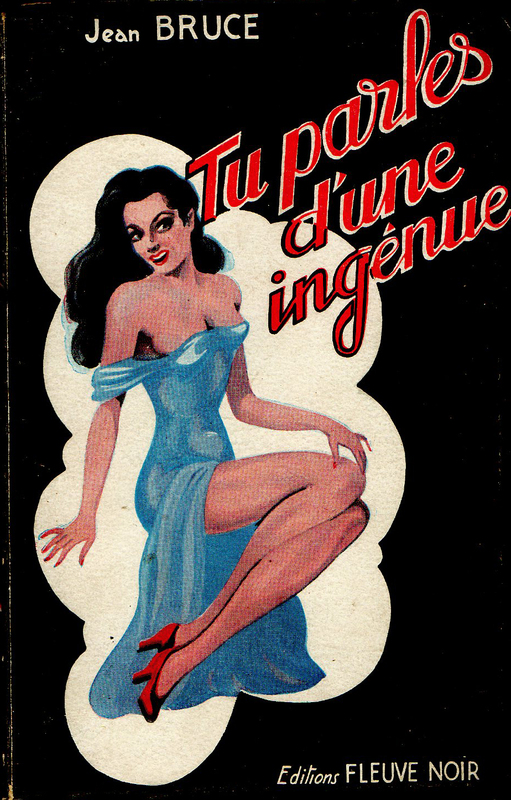 It was published in Paris in August 1949 some four years after the launch of the Série Noire by Gallimard, of which it would be a strong competitor, albeit with a different model (publishing French authors rather than Americans in French translations) and targeting a much broader readership. 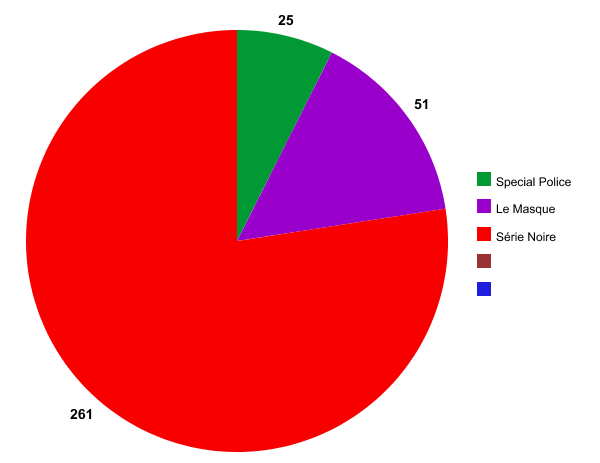 While the Série Noire celebrates its 70th birthday this year, Spécial Police was discontinued in 1987. By then, it had published 2076 novels, from 155 authors. 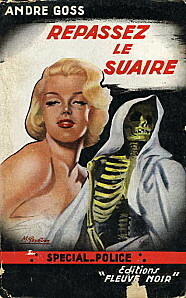 The illustrator of the cover reproduced above was artist Michel Gourdon, who would illustrate some 3000 covers in the series (including re-editions). Gourdon, as the illustrator of all the original covers from the first (above) to No 1402, gave the Series its distinctive flair and largely contributed to its success. 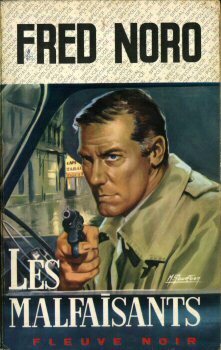 Less celebrated than its model (and, in ways, polar opposite), Gallimard’s legendary “Série Noire”, the Fleuve Noir series “Spécial Police” was the most popular of all French crime fiction series. It sold hundreds of millions of books and published a total of 2075 novels. Jean Cocteau was among its admirers. It was, needless to say, largely ignored by critics, academic, literary or otherwise. The books tended to be available at train stations, newsagents, and supermarkets rather than in bookshops. You would not expect to find one in a library. Yet, the series was one of the great matrices of literary imagination in France during the second half of the 20th century. Launched in 1949, it continued to publish until 1987. The majority of its more than 300 authors were either French or francophone, save for one Russian, one (prolific) American, two Germans and a handful of other exceptions. It became an amazing pool of creative talent. How many hundreds more submitted manuscripts? In the twenty-eight years since the series ceased to exist, some of the authors who had been published there have fallen into the most complete obscurity. Very little is known about them, not even their names (many used pseudonyms) or what they did next – or even if they are still alive and writing. Who were and who knew André Goss, Michel Coulmer, Sanz Boto, Mike Cooper and J.M. Valente? Who met Thierry Bataille, and Susan Vialad (or the author publishing under her name), and who remembers them? André Goss, aka André Gossiaux, Repassez le suaire. Paris, Fleuve Noir, “Spécial Police” n°58 , 1954. The truth of French Crime Fiction series is death. Not Detection or investigation, not mystery, and not Police. What the series are about really, is death. 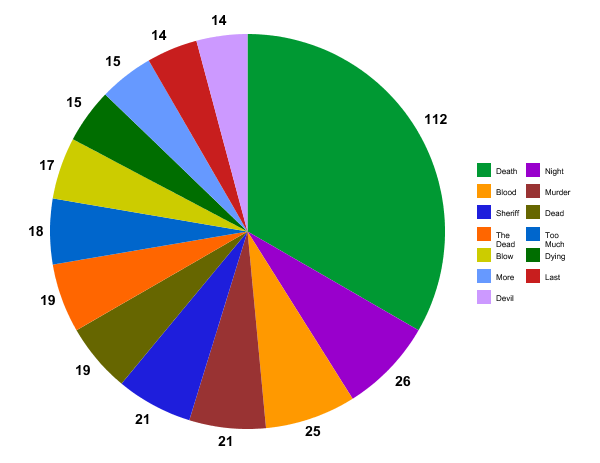 Or at least, this is what data visualization suggests, based on the titles of one the most successful of these Series. 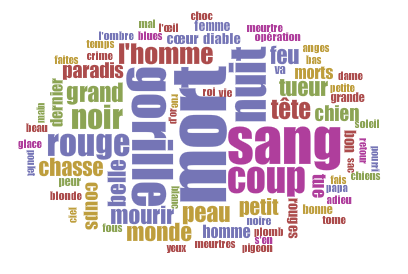 The three graphs presented here represent the top most frequently used words in the 2075 titles published in the Fleuve Noir Spécial-Police Series, between 1949 and 1987. The 13 most frequent words have been translated in the circle chart above. The Worcloud below, generated with Voyant, and the word -trends graph below, are based on the same source. 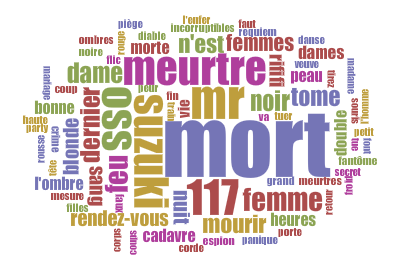 They present the same words, albeit with some more of the words most used in the titles (below), and in their original French.